Possible Spoilers if you haven' experienced Alien: Isolation's half-a-dozen endings yet. Alien: Isolation wasn't my favorite game of the year. It was a great concept that perfectly recreated the atmosphere of the classic film, but somewhere along the way, the developers decided that it needed to be a 20 hour game. Pretty standard for the genre, but when you have only about 5 hours of fresh ideas, stretching them out doesn't really make for a great game. That being said, I think The Creative Assembly gets this and would improve it greatly in a sequel. In fact, they are already kind of tossing ideas around the studio if they ever get the chance to make a follow-up. In an interview with AVP Galaxy, Lead Designer Gary Napper discusses the thoughts of his staff. "The plot for a sequel is a daily topic in the studio sometimes. People have their own ideas for where it should go, our writers have some solid concepts and yes, we do have a great opportunity to continue her story. I personally think that Amanda did not get infected in the hive, as when she wakes, the closest egg remains closed." I remember the ending being a little ambiguous, but I always thought she got infected. Of course, by that point, I had been burned by one too many false endings and wasn't looking closely enough at the eggs to really notice. Napper continues, saying that he feels like any potential sequel's would need to be more interactive, and I agree. "I think the action oriented "Aliens" style game is very different from what Isolation is. 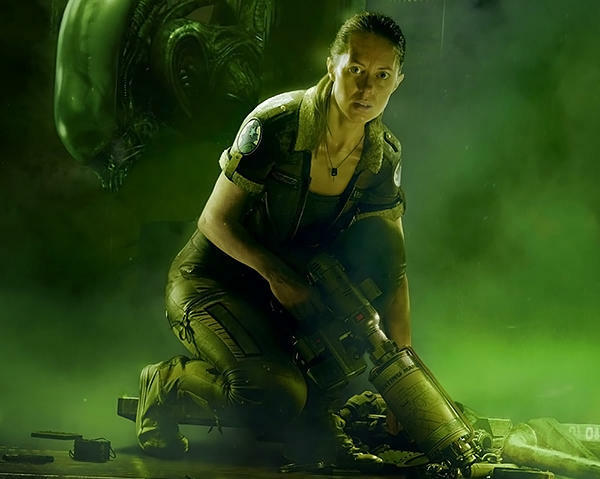 If we made a sequel I would like to stick to the same terrifying single Alien approach but do more with the environment and interactivity within it." Would you play another Alien: Isolation game? I'm on the fence with that question now that I've seen it fully realized. I would have to wait and see what others think first for a second time around.